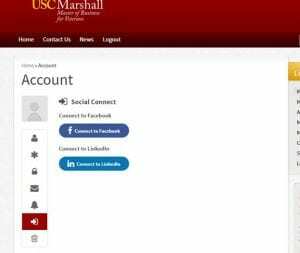 New users can register for a new account at https://www.uscmbv.org/register/ or by clicking the link on the menu or on the home page to “Sign Up”. You can choose to create an account using Facebook or LinkedIn. 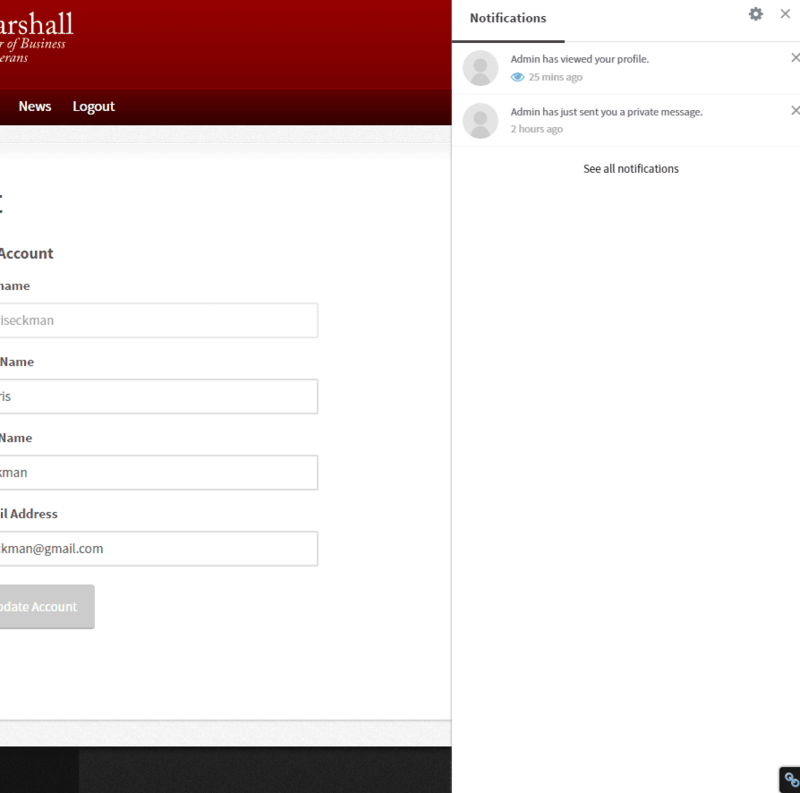 If you elect to use this option, your email address and image will automatically be added to your new profile and you will not need to create or manage a new account password. 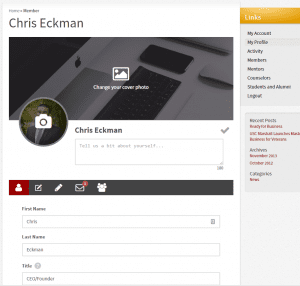 The social login is a two-step process that will take you back to the registration system after you have signed in and you will complete entering all the information needed for your application. 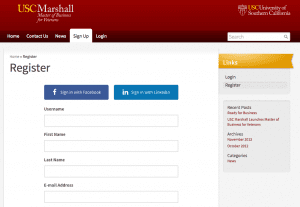 If you do not want to sign in using your social accounts, you can also create a new account on our website. You simply just enter your information on this page and hit “register” when complete. After you register, your account will be reviewed and you will receive a email when it has been approved. 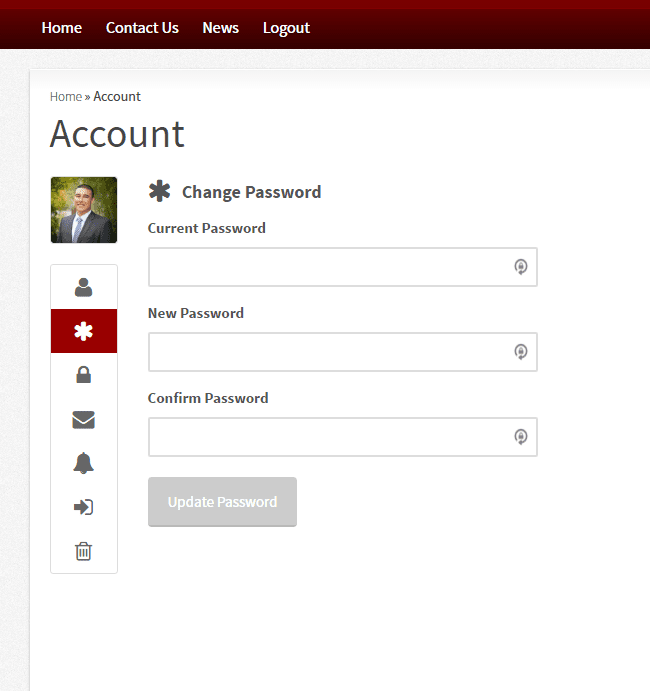 You can sign in using this link https://www.uscmbv.org/login/ or clicking the link on the menu to “Login”. 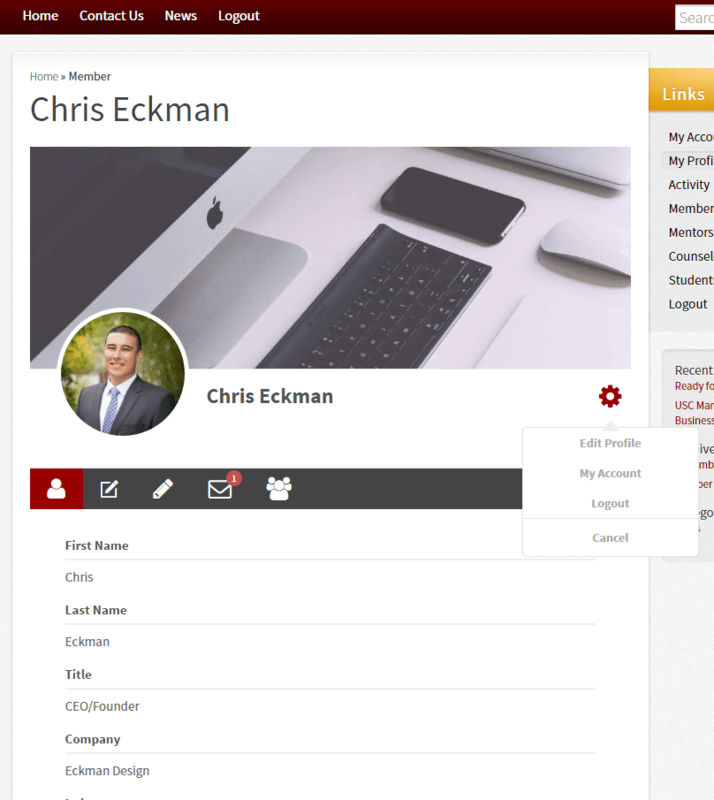 We have completely overhauled the old system and moved onto a new platform. 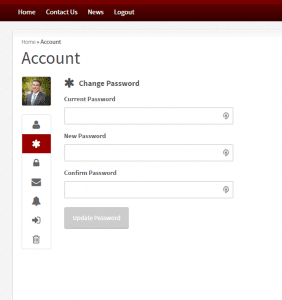 All of the data has been migrated over to a new platform, however you will need to use a new password to login. 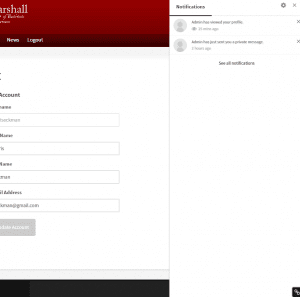 An email will be sent to your registered email with the link to login as well as your username and password. If you do not receive an email within the next few days, please email us at connect@uscmbv.org. 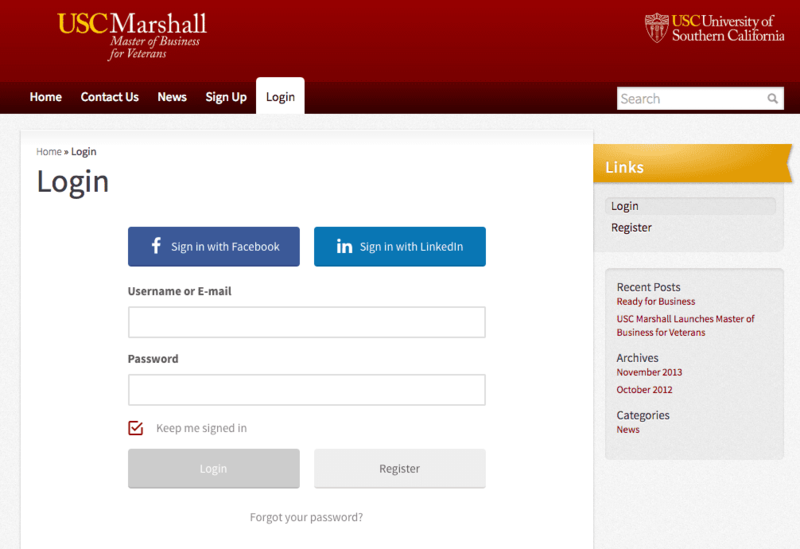 For your initial login, please do not login with your social account. We will get an opportunity to link your account to your social account, but only after your first login. This will ensure that we do not create a new account that is tied to your email account in Facebook or LinkedIn. 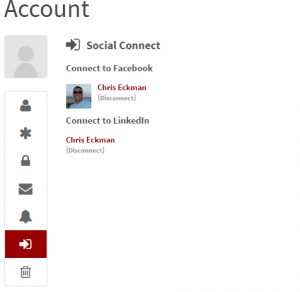 After you login with the username and password from the email you receive you will be taken to your profile page. If you would like to change your password you can do that my clicking on the link to “My Account”. Then click on the “*” symbol to change your password. Enter your old password and new password and click “Update Password” to save the changes. To connect your current account with your social media account, in your Account. Click on the arrow button. Then, click on either or both buttons to tie your social account to your current account. To later disconnect your social account you can click on the link to disconnect your account. To edit your profile, click on the link for “My Profile” and click on the cardinal colored “gear” icon. 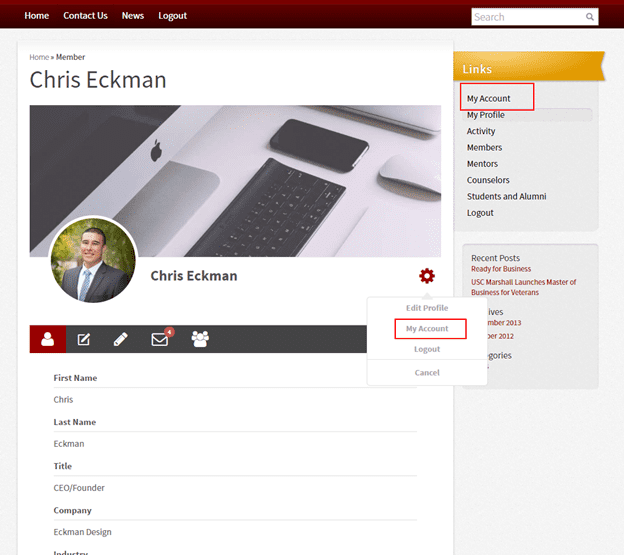 A dropdown will appear, click on the link for “Edit Profile”. To change your profile photo, click on the camera icon, to change or add your background cover image, click in the image icon and upload an image file. On the profile page you add your current title, current employer, industry you currently work in or have interest in, contact info, social media accounts, interests, skills, as well as upload your CV or bio. To save the changes, make sure you click on the button “Update Profile” before you leave the page. For a directory listing of all students, alumni, mentors, and counselors you can click on the link for “Members”. You can search and filter the directory using first name, last name, company, industry, or MBV Cohort. There are 3 other directories with listings for mentors, counselors, and students & alumni. All directories are not publicly accessible you must be a member of the website to access these areas. 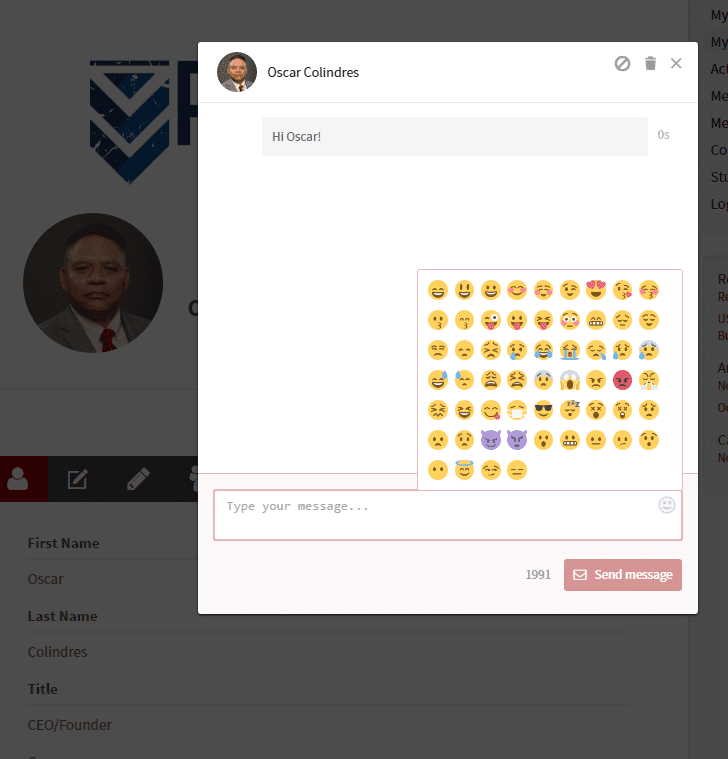 You can send private direct messages to any other user on the system by clicking on the message button found in the directory pages or the individual user’s profile. An email will be sent to the user notifying them that they received a message. You can delete messages and conversations by clicking the trashcan on the message or the trash can on the conversation. To close the message window click the “X”. To view your notifications for new messages click on the “bell” icon. It will have a red number indicating the count of messages you have. You can dismiss the notification by clicking the “x”. To open respond to the notification, you can click on the item. 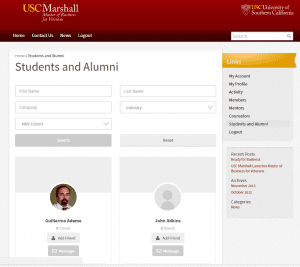 For additional assistance with the website you can contact us at connect@uscmbv.org.